Nowadays, WordPress Open Source is being used much more than before by its full of rich features and beautiful layouts. WordPress website becomes more and more powerful only when you integrate plugins in your site. From a wordpress beginner to a skillful expert having knowledge of the plugins is too familiar and really there are varieties of wordpress plugins used. Indeed, with the development of informative technology, nobody denies the importance of multilingual plugin and almost the wordpress websites support it well. It will get a close relationship among the countries around the world and help people to know each other, shorten the distance of language to create a common community. However we searched on the Internet and collect Top 5 WordPress Multilingual Plugins 2014. Hoping this the article will be useful for the readers and make your website more attractive. 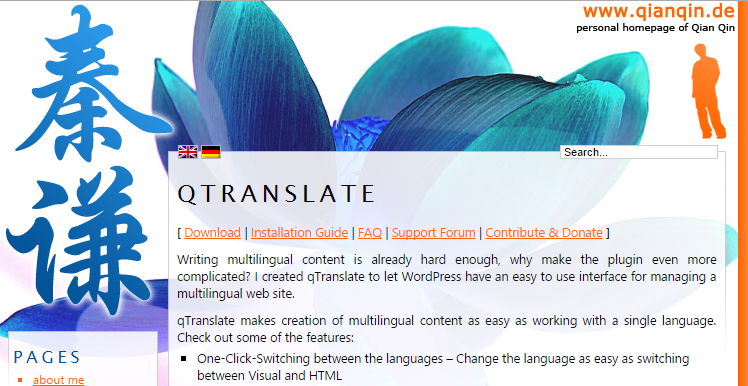 Saying goodbye WPML we discover qTranslate and look around its outstanding features. qTranslate makes creation of multilingual content as easy as working with a single language. Now it can support more than 17 languages and add a new language. Let’s check some of its features: One-Click-Switching between languages, professional human or automated machine translation, add a new language in seconds, Multilingual text in Templates without the need to change Gettext Database..There are lots of other features that makes you amazing. It is really greater than when you are the person enjoy this excellence. Welcome Google Language Translator! This plugin allows you to insert the Google Language Translator tool anywhere on your website using shortcode. Almost everyone doesn’t feel strange with Google Translator? Maybe it is an useful tool and it is the reason why it gets 4.7/5 stars, 277,314 times download. Besides, you can show/hide specific languages, google toolbar, Google branding or add the shortcodes top the pages, posts and widgets. If you are really interested in this plugin, hurry up to download and use it! One of the language plugin in WordPress.org, we meet xili-language. According to the statistic, now it has been downloaded more than 100,000 times since it launched in 2009 and is also regularly updated. In addition, it supplies many features and selection of language for users, creates a comfortable feeling during the process of using. Xili-language uses a custom taxonomy to specify language of post, page and custom post. Now it is compatible with wordpress 4.1 and in the near future surely it will be updated many outstanding functions. Therefore, if you love this plugin, don’t hesitate any more, vote xili-language immediately! 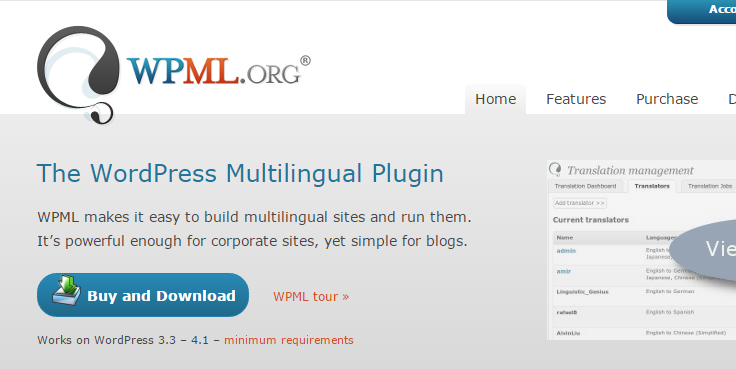 To sum up WordPress Multilingual Plugins are really useful for each wordpress website and maybe if you understand its importance surely you will not ignore. It is a powerful tool for your website to make a close relationship in the global system. By experiencing and doing researching we hope that the article Top 5 Best WordPress Multilingual Plugins 2014 will bring a new inspiration for you and help you choose the best plugin for your website. Some days we will say goodbye 2014 and welcome 2015 with many difficulties and challenges, we try our best to overcome and get more success. Wishing all of us will have a really successful business. We will update information regularly, please follow us on our social channels such as Facebook, Twitter, Linkedin, Youtube, Pinterest to get latest information!to get latest new. Besides, we also published the blog of Top 15 Most Popular WordPress Plugins 2014 for you to know more other wordpress plugins.